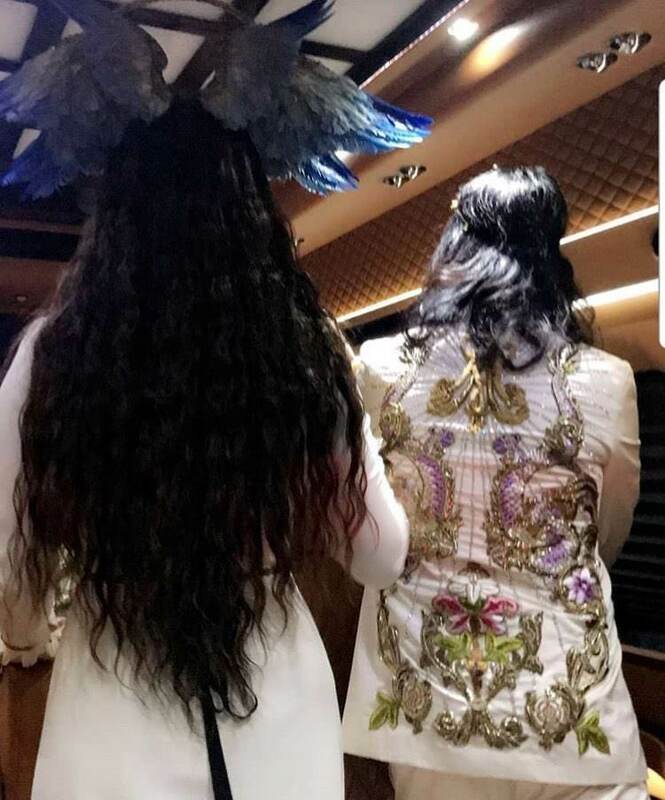 "..and all my birds of paradise who never got to fly at night cause they were caught up in my wig"
guys, u should see new gucci insta photo. this concept is fire. i just change my mind. they looks gorgeous. I agree. as a trio, with her mask on, it is really beautiful. Even the wings on her head are starting to grow on me.